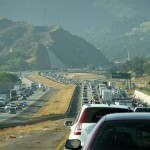 Palo Alto’s parking shortage may not be at an end quite yet – but there’s a plan. From Eric Fischer. 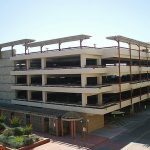 More than a year after beginning a comprehensive review of parking policies for its downtown, the city council of Palo Alto, CA, introduced two proposals for a residential parking permit program. 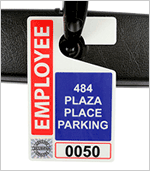 The program aims to alleviate the stress of severe parking shortages that have caused heartache for workers, businesses, and residents adjacent to the downtown. As that section of the city has flourished, residential areas that surround the city’s core — Professorville and Downtown North, for instance — have watched on-street parking in their neighborhoods disappear. 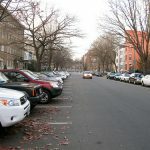 They say the shrinkage is due to visitors and workers who, unable to find free street parking downtown and unwilling to pay for parking at lots or garages, seek spots in nearby neighborhoods. One factor girding the issue is the city’s curbside parking regulations: There’s a two-hour time limit per spot, but curbside parking is otherwise free. That policy has helped businesses, merchants say, and, indeed, the numbers support their claim: New non-residential development in the area recently hit 235,000 square feet. In 1986, the city council decided that figure would trigger public review of downtown development policies, so it is now studying the effects of the area’s recent developments, vacancy rates, and the possibility of new or revised zoning regulations. The study is expected to conclude in the middle of 2014, but in the meantime, the council has made parking a priority on its agenda. 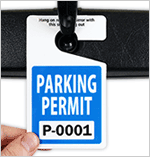 It has already held several public meetings on the issue, but last week’s meeting was the first to discuss two versions of a residential parking permit program unveiled by the city. The forty or so attendees at the meeting listened as presenters described the program, which would essentially extend the color parking zones already in place for the downtown core of University, Lytton, and Hamilton avenues to almost every downtown road from Alma to Guinda streets. 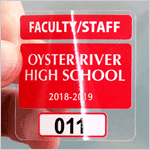 In many of the zones, vehicles without hangtags would be subject to a two-hour time limit; those with parking permits would be allowed to park in specified zones with no time restrictions. Residences would be able to receive up to two permits, as would some employees. A ratio has yet to be determined, but up to 40 percent of the permits could be set aside for non-residents, said interim planning director Aaron Aknin. 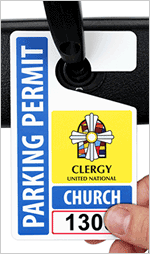 Permit costs have yet to be decided as well. 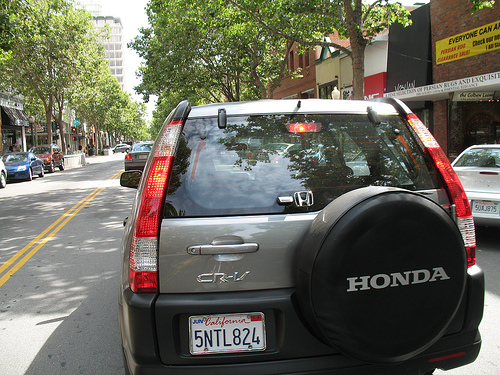 Finding parking in Palo Alto is notoriously difficult, at least in part due to conflicts between commuters and residents. From Cyclelicious. 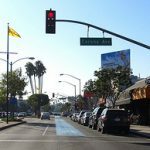 The difference between the two proposals presented by the city comes down to the number of new parking zones. In Concept A, ten zones would be added to those already exist. In Concept B, seventeen zones would be added. The latter is based on a failed concept the city considered in 2000—too pricey to implement, it said at the time. Today costs don’t play as large a role in the city’s decision-making process, though it hopes to recover some costs through the permits. For the next two weeks, staff is soliciting feedback on the proposals. 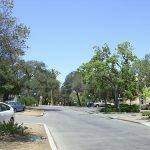 The city will the send surveys to determine residents’ interest, and if 50 percent of residents in a neighborhood are supportive, staff will bring the proposal to the city council for approval before the end of the year. 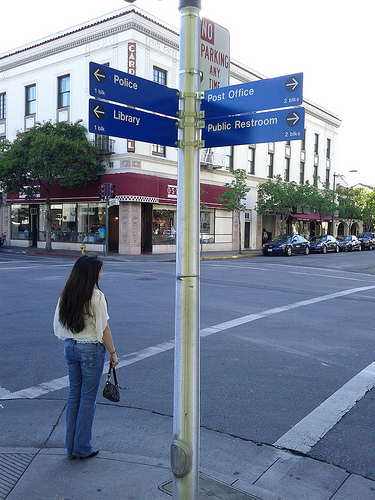 The parking problem here, in Palo Alto, California is secondary to the problem of a special interest group, commercial real estate developers, thriving in a relative vacuum of disengaged citizenry and Democracy correspondingly devolving into a dollar-ocracy. That plus the “solutionism” (Evgene Morozov’s usage) that comes with all the tech types (“to solve everything, click here”). I will have to check out further how this looks from your Brooklyn perch, and your keen interest in this subject. Or, I wonder how our problems with development compare to life in the Big Apple (and 714). The value of commercial real estate here increased from $5 billion in 1985 to $25 billion today, which says something about the incentives there are to build, mostly office space, which does not benefit people who live here (although the value of residential real estate has also increased dramatically, but less so). It would be great to be able to walk to the F-train here the way the people of, say Carrol Gardens and Red Hook, can, to get to Manhattan and the world.Our public transit is scant, relative to your world. In terms of the programs you describe, RPP, I would prefer trying it, although it seems a little slow in coming and overly complicated, plus there is turnover in staff. Hi, Mark- Thanks for stopping by! We track Palo Alto pretty carefully for a lot of reasons: it used to have a progressive planning commissioner (whom I believe was fired? ), and sadly, it’s a fairly small, politically aware city with a lot of parking problems. Our CEO and CFO both spent time in the area, and they’re always regaling me with stories of how even in the ’80s it used to take them hours to find a parking spot. As far as problems with development, in Brooklyn, it’s almost too big and complicated an issue to tackle. In my limited experience, I think there are a lot of reasons to see developers as friends of progressive transportation policies, though. There’s an interesting chapter in Leigh Gallagher’s book “The End of the Suburbs” about how fanatical big developers are about paying attention to market signals, and how even though Americans are driving a bit less than they were pre-crunch, developers are MUCH more attuned toward public transport, mixed use, and walkable communities. What specifically do you mean about your problems with development? 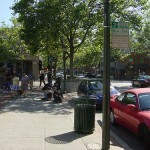 Is it just that Palo Alto is host to more businesses than it used to be? That’s a problem they’d kill for in a lot of places! Also, that is funny the photo you use to illustrate this post, with the confusing and redundant signage. I had noticed them and maybe shot them with my cell and have also been inspired my bad signage to post on my blog.